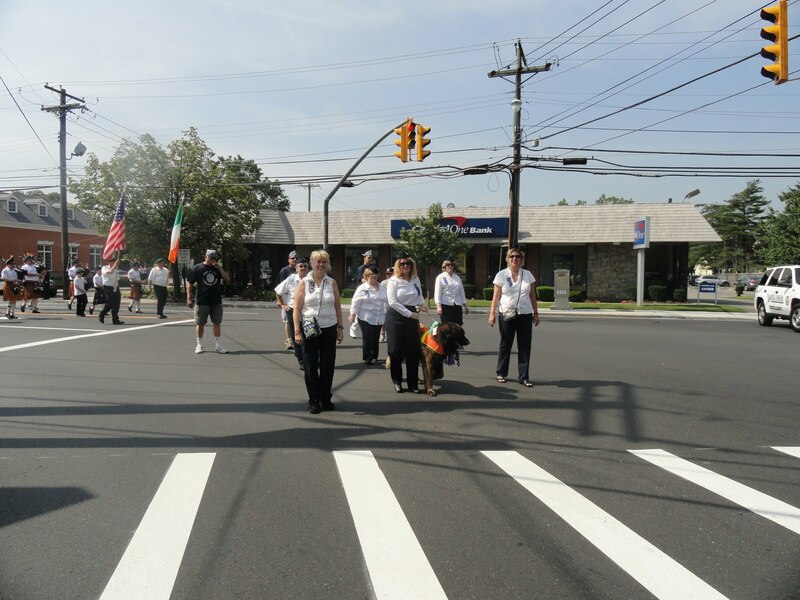 Chewee leads the Huckleberry Parade to the Village Hall with the East Rockaway's Ladies Auxilary. It was a very hot morning and Chewee was a champ marching in the parade. Chewee always supports the East Rockaway Grist Mill and all the funds that were raised go to the running of the Grist Mill. Chewee was very proud to march for his Village and he was treated with water and a hot dog when he finished the parade.